Author’s Note: As background, the comments below in italics are taken from the Modesto Bee Newspaper where a citizen writes a letter to the editor about Jose Hernandez who is running for U.S. Congressman for California’s new 10th Congressional District. My (Mickey Walker) response follows. 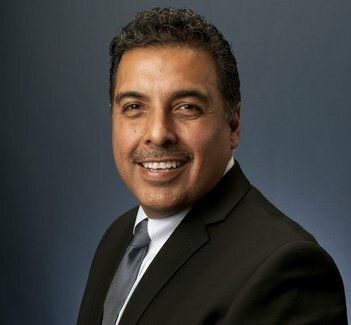 I had the opportunity to personally ask Jose Hernandez to clear up some quotes he has made in the past. He stated in those articles that he is "more Mexican than American" and "has room in his heart for two countries." To my amazement he not only said this was accurate, he said that his heritage is more Mexican than American. I am a combat veteran that served my country in Iraq. That is how I identified myself when I met him. After letting me know that he more serves a country that is not my own, he mockingly laughed and walked away from me. This is a very scary candidate. He continues to lobby the Mexican government. He also sees America being more like Mexico. Have you seen the articles of people being hung from poles? I have lost many of brothers in combat that so beloved this country. They would turn in their graves if this unpatriotic man were to win a seat. My response to you, Phillip White, is that you are a very scary American. From the clever context of your letter to the Modesto Bee Editor, you quote Jose Hernandez as having room in his heart for two countries, Mexico and America. What is so outlandish, however, is why do you seek to demonize him for being proud of his heritage? Aren’t you proud of yours? I grew up on a farm in a German/Czech community of Americans in Central Texas who were proud of their countries of origin, too. They danced the polka, the Schottische, and made Kolaches, a pastry from the old countries of origin from which they came. They spoke German and many of the other native languages of their origins, and they served their country in both World Wars, like in America uniform, dude. And they died, too as courageous and proud Americans. As one combat Veteran to another, I ask you, are you that full of yourself for having served your country in uniform that you would attempt to denigrate a genuine American Astronaut who began his life as an American citizen picking fruit and vegetables in the fields of California so that he could have a better life, like we all believe is possible? Like, in realizing the American dream? Hernandez schooled himself by night and attended major California universities to get a BS (University of the Pacific 1984) and an MS (U of C in Santa Barbara) in Electrical Engineering which isn’t rocket science, but it did lead to a job in that field. Jose Hernandez applied for and eventually was selected by NASA as an Astronaut. Wow. Does it get any better than that? Isn’t that opportunity one of the very things combat veterans like you and I fight for? Only in America, right? Yes, Mr. White, I was a combat veteran just like you. I fought in the Viet Nam War in 1964-1965 as a Naval Gunnery Officer on the USS Sumner County (LST 1148). In addition to ship’s duties, I was in command of an LCVP boat that supported ground forces and US Coast Guard cutters stationed in Da Nang. We pulled Da Nang Riverine river operations with the Swift Boats and supported them and the faster “Spook Boats” that we were ordered not to ever discuss with anyone. We were a part of the US Navy Market Time Operations which was the water support and combat boats that became such an infamous part of our history when John Kerry was “Swift boated” to use the despicable new term, now a word in the dictionary. He was ambushed by many of his own fellow naval officers who, thanks to a multi-million dollar campaign PAC fund, made political ads to debunk and disgrace him. Disgracefully, many of my “so-called” fellow Naval Officers were persuaded to roll in the dirt thanks to millions of video ad dollars donated by Bob J. Perry, Texas’ largest campaign contributor to the GOP and its candidates. And in so doing these misfits with money for television ads managed to blemish the honor of US Navy tradition for who knows how many generations to come? I and several of my fellow officers and men who served in the Viet Nam War have concluded that the officers who made Perry Swift boat ads were not unlike Judas and his 30 pieces of silver. See, back in my day, if you served in combat, it was not imperative that you like your comrades with whom you served. Or to belong to the same political party. But honor and 100s of years of Navy tradition dictated that you did not demonize them or disparage their service to country. You did not question their honor. Especially to the news media. Especially when the object of your scorn was a candidate in a highly-visible National Presidential Election! Especially an officer who did not check the ‘Do Not Volunteer’ box for overseas combat duty. But one who deliberately put himself in harm’s way in one of the hottest combat zones in Viet Nam at the time. And to question his medals duly awarded by his superiors is a disgraceful and dishonorable act. Do you get it Mr. White? You just don’t choose to roll in the dirt when you are talking about great fellow Americans whether they serve in uniform as you did or in NASA’s own American space astronauts. I and many other veterans and Americans are proud of your and your fellow servicemen and women who served in combat. And I hope you can come to be proud of all the Astronauts who served our country as well, including Jose Hernandez. It’s time to stop all this BS and trash-talk about those who serve America honorably and genuinely. Political gain is not that dear to democracy when you are about destroying American heroes. When did we become so intolerant as Americans each to each? And why? To serve America as an Astronaut is just as honorable as serving in uniform. To attempt to destroy our heroes especially if one is running for Congressman is an exercise in sorriness. To truly love your country you must love the idea that we are a multi-cultural nation, this America that we fight for, that we serve, that makes us feel pride in our hearts. To embrace the heritage of your ancestors from whence you came is the deepest meaning of being an American. See, here in this land of the free, we can honor our past, our ancestors, and our countries of origin without fear of repercussion. Why? Well after all, this is America, and we are free to do so, right? Isn’t that what you were fighting for as a combat veteran? I know I was. The freedom to have ancestors and a culture from another country without being criticized or Swift boated for having warm feelings for your ancestral country of origin. That’s why the Pilgrims first came over to America, isn’t it? Jose Hernandez did not say he “more serves a country that is not my own.” You did. You slanted it. His heritage may indeed be more Mexican than American, but that does not merit the subjective smear you made that he is more pro-Mexican than American. I do not believe that nor do I think you made an intelligent case for such a belief. You made a value judgment by yourself out of the blue. A bad one. You say Jose Hernandez lobbies Mexico. Really? How? Just because he is proud of his heritage? Then you say: “He also sees America being more like Mexico.” What’s that supposed to mean? America has many new immigrants today that are changing the face and enriching our country with new cultures of food, music, art, dance, literature, and such, all for the betterment of all us Americans. Then you shift to, “Have you seen the articles of people being hung from poles?” Say what? What has that got to do with Mexico? Are you running your myriad of thoughts somewhat dreamlike, together or what? Way too many of us have seen the horrors of war, but what place does that discussion have in political campaigns and races for high office? Do you care to elucidate? “I have lost many of brothers in combat that so beloved this country. They would turn in their graves if this unpatriotic man were to win a seat.” Really? I lost comrades in combat, too, and want to know who our heroes were back in the rivers and jungles of Viet Nam? Astronauts. Football players. And the Beatles. And no one ever called an astronaut unpatriotic. So why do you? What is your point for saying that other than your own subjective view of what you think him to be, not based in fact? No, we never trashed our astronauts. No matter what their ancestors’ countries of origin happened to be. Or how proud of their heritage they were. We called them heroes. And I and my friends felt proud and lucky to have a heritage and country of origin to be proud of as well while serving America in the greatest test of courage of all: combat. And as one combat veteran to another why don’t you show some pride in America? And stop trying to shoehorn Hernandez into a person who is a figment of your imagination and not based in reality. And maybe just chill?